This comfortable, passive solar straw bale home has two stories with a wrap around covered porch on the first floor. A large open living space will be filled with sun during the winter months and shaded in summer. 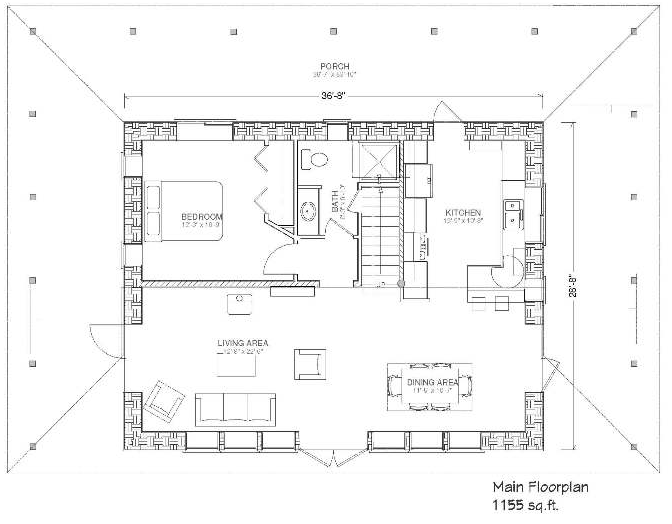 The upper floor has a master bedroom and office which could easily become a third bedroom. This design includes plans for an 8’x14′ detached solar utility building with solar thermal collectors on its roof and a root cellar on the lower level. The Suncatcher is a perfect choice for an independent, off grid home suited to indoor/outdoor living. All of Integral Design Studio’s straw bale plans incorporate an internal modified post and beam structure. The bales in this structure are laid flat as infill. 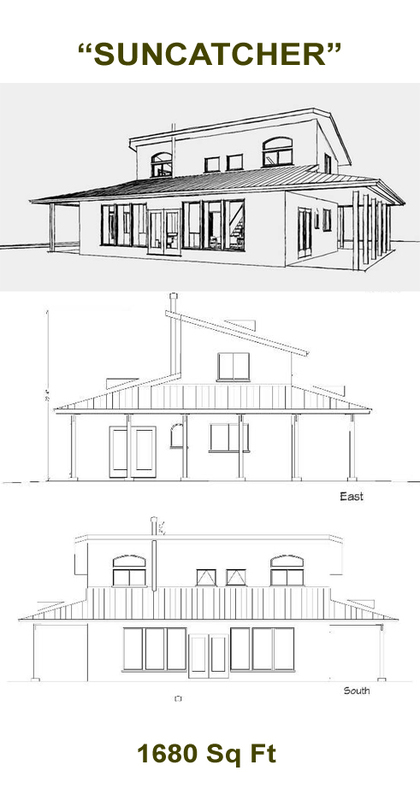 These plans also have concrete slab or adobe floors which act as the main thermal mass. 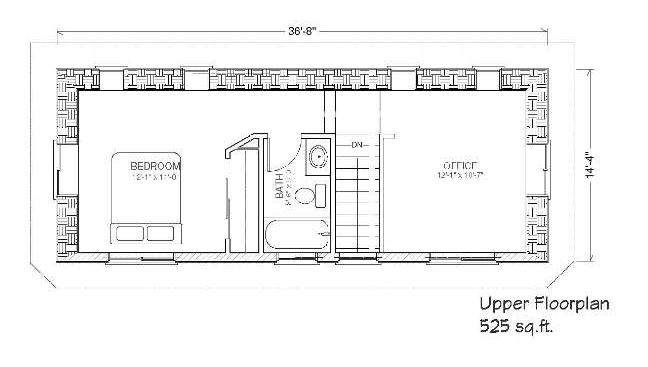 Plans may be reversed to better accommodate specific sites and design services are available for custom modifications to these existing plans for an additional hourly fee.